Although it’s below freezing, there are plenty of birds at the feeders this morning. 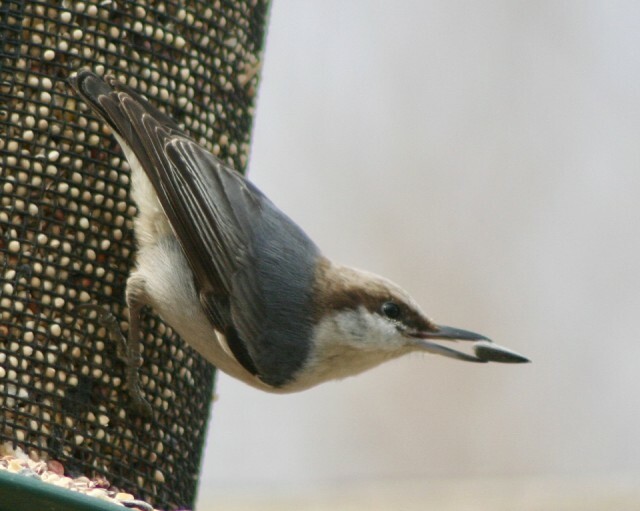 This Nuthatch doesn’t appear to be interested in any of the seeds except the sunflower seeds. I’m off to get my haircut this morning and then will inside for the rest of the day as I’ve got some chores to get done.